Home > News > NPA spring banner competition - win a hamper! NPA spring banner competition - win a hamper! 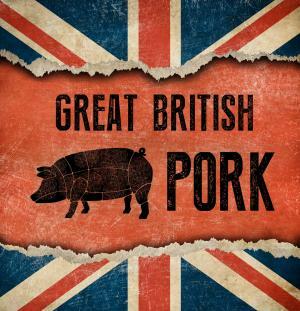 The NPA has launched a competition to find an imaginative slogan to encourage the Great British public to buy Great British pork. The winning slogan will be turned into roadside banners and car stickers to feature up and down the country from this spring. The winner will receive a hamper from NPA chairman Richard Lister’s farm shop to a value of £100 (the winner can choose the contents). The competition, which launched on December 27 on the Great British Pork social media pages, closes at 5pm on Friday January 12. Entries made after this time will not be considered. The winning entry will be picked by NPA Producer group on Tuesday, January 16, and announced the following day. The NPA's Andrea Vickers, who runs the Great British Pork social media pages, said: "We really want members to get involved in this. "The last set of banners have been a great success but we think it's time to freshen things up and come up with some new banners with some new slogans. "So in a year when we are going to need to connect with consumers more than ever about the virtues of Great British Pork, we need your ideas! So while you've got a bit of time to think over the festive period, get your thinking caps on... and you could win a hamper very kindly donated by our chairman, as well as getting your banner displayed across the country." Can you better this effort from the NPA's last banner campaign?